604 N Forth Street was built in 1907 by architect H. L. Bonitz and builder R. H. Brady. 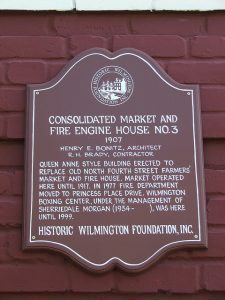 This historic building in downtown Wilmington, North Carolina was originally built as a fire engine house. The fire engine house stood in this location from 1907 until 1971, when the was station moved to Princess Place Drive. Since its original use as a fire house, the building has been used as a boxing gym, a police station, and housed a special effects film company hosted by Legion Films. Most recently, the historic building has been renovated and turned into a beautiful, new brewery in the heart of Wilmington. Edward Teach Brewery carries the name of the infamous pirate, Blackbeard. The pirate theme is carried throughout the 10,000-sq foot facility. 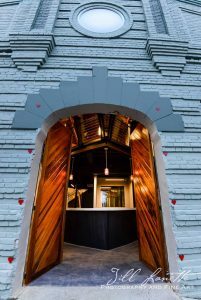 The downstairs bar is built to look like the front of a pirate ship, just like the “Queen Anne’s Revenge,” with curved lines, large windows, and hanging lights giving guests the feeling of being at sea. 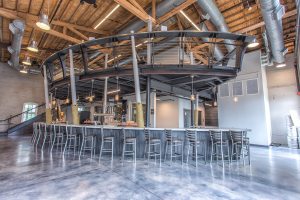 The brewery opened its doors December 15, 2017 and offers a 20-barrel, three vessel system, giving plenty of space to brew. Edward Teach currently offers 8 draft beers and is always working to create more. Come see us at Edward Teach! !